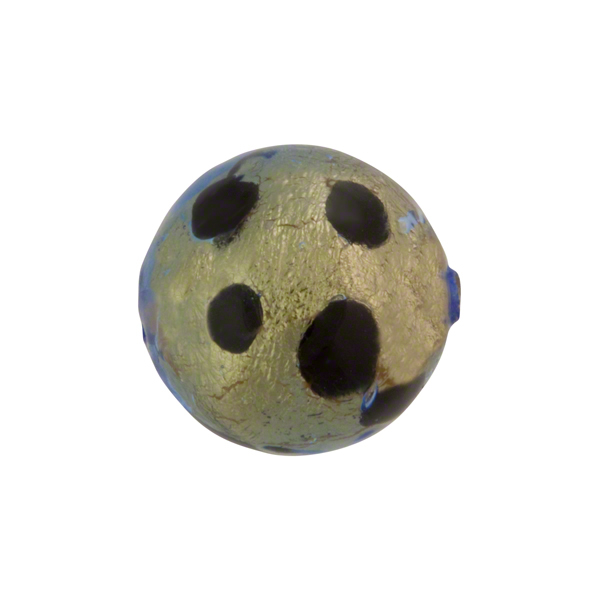 This large leopard print round 24kt gold foil Murano Glass Bead is approximately 16mm in diameter with a 1mm hole in the center. It features dots of Black (Chocolate) and completely submerged beneath transparent blue Murano Glass. The blue glass takes on a slate color as the gold shines through.